The Supreme Court has observed that a regular suit, and not a writ petition, is the appropriate remedy for settlement of the disputes relating to property rights between private persons. The Kerala High Court, in this case, had allowed a writ petition filed by a person, who was forcefully dispossessed by police, seeking restoration of possession. Abdul Azeez, who lived in a flat owned by Roshina, had approached the high court alleging that he was dispossessed from his house by the police, despite there being a civil case pending between him and the land lady. Kerala High Court Division Bench noted that the court has two options: “(1) tell Azeez to go before a civil court under Section 6 of the Specific Relief Act; or (2) to grant relief under its extraordinary jurisdiction, which has all the facets of an equitable remedy.” The bench, which said that the police ‘facilitated the eviction,’ also observed that “it puts a premium on dishonesty to ask Azeez, a victim, to follow a due process of law against those who are precisely guilty of violating the due process of law”. The bench then directed the landlady to restore possession to Azeez giving her liberty to have recourse to due process of law to recover her possession. 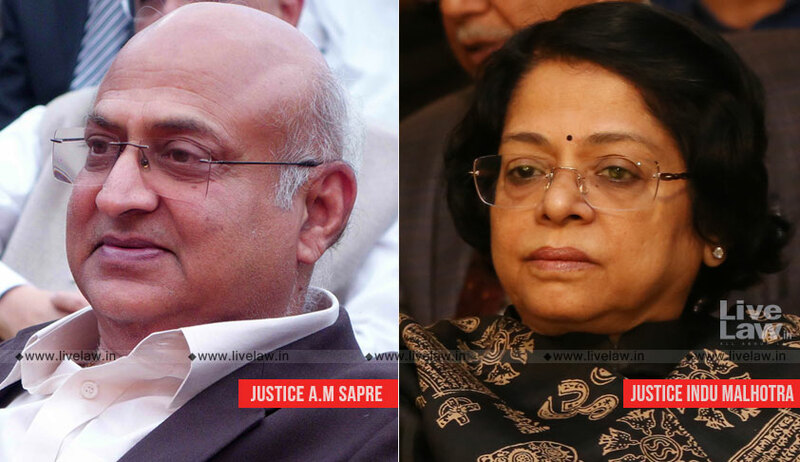 In the appeal filed by the land lady, the bench comprising Justice Abhay Manohar Sapre and Justice Indu Malhotra observed that this writ petition seeking relief of restoration of the possession of the flat in question was not maintainable and the same ought to have been dismissed in limine as being not maintainable. “First, there did exist a dispute between the appellant and respondent No. 1 as to who was in possession of the flat in question at the relevant time; Second, a dispute regarding possession of the said flat between the two private individuals could be decided only by the Civil Court in civil suit or by the Criminal Court in Section 145 Cr.P.C proceedings but not in the writ petition under Article 226 of the Constitution…,” the bench said and directed the parties to pursue remedies before civil court.